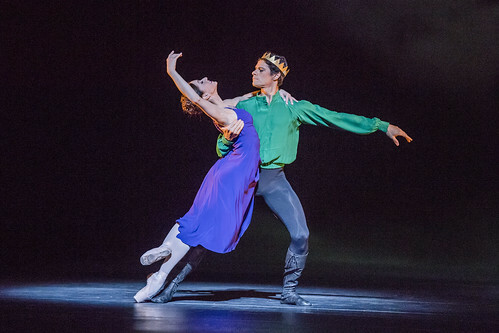 Argentine dancer Marianela Nuñez is a Principal of The Royal Ballet. She joined The Royal Ballet Upper School in 1997 and joined the Company in 1998, promoted to First Soloist in 2000 and to Principal in 2002 aged 20. 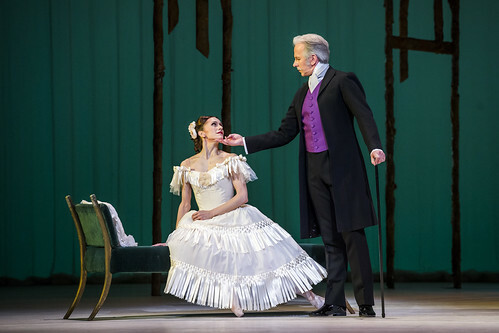 She has performed all the leading roles in the classical, dramatic and contemporary repertory, including in works by Frederick Ashton, George Balanchine, John Cranko, William Forsythe, Jiří Kylián, Kenneth MacMillan, Wayne McGregor, Ashley Page, Jerome Robbins, Liam Scarlett, Glen Tetley, Will Tuckett, Antony Tudor and Christopher Wheeldon. Many of her roles have been captured on DVD. Nuñez was born in Buenos Aires and began dancing at the age of three. When she was six she began training at the Teatro Colón Ballet School, joining the Teatro Colón company aged 14. She took on corps and soloist roles and toured internationally, both with the company and as a guest artist with Maximiliano Guerra. Nuñez’s awards include Best Female Dancer at the 2005 and 2012 Critics’ Circle National Dance Awards, Konex de Platino for Best Dancer of the Decade in Argentina in 2009 and the María Ruanova Award in 2011. She received the 2013 Olivier Award for Outstanding Achievement in Dance, in recognition of her performances in Viscera and in roles created on her in Aeternum and ‘Diana and Actaeon’ (Metamorphosis: Titian 2012). She has appeared as a guest artist with companies including Vienna State Opera Ballet, American Ballet Theatre, La Scala, Milan, Ballet Estable del Teatro Colón, Ballet Argentino de La Plata and Australian Ballet, and in galas around the world. Reserved for moments of celebration, the Covent Garden tradition of the flower throw sees fans showering Royal Ballet greats with blooms. 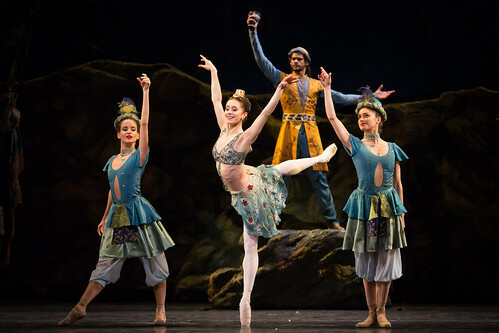 Marianela Nuñez as Sylvia and Artists of The Royal Ballet in Sylvia. 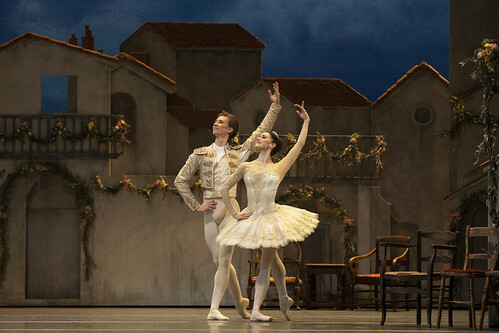 Frederick Ashton's poignant ballet captures the essence of Turgenev's play about family and unrequited love.